Texas Custom Mirrors was asked for an appointment for a client in Blanco, Texas. 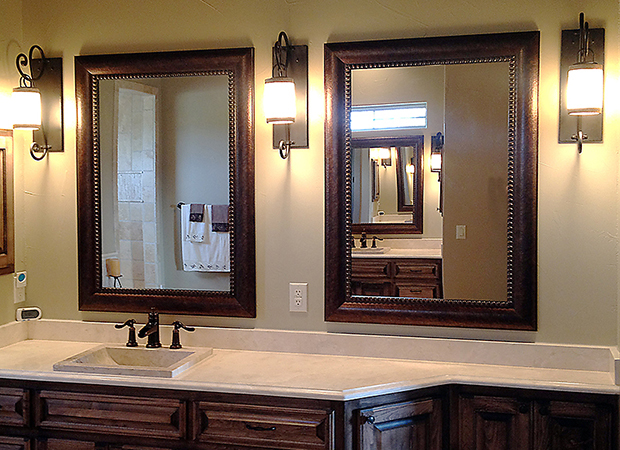 We designed a matching pair of mirrors that would match the bathroom cabinetry and decor. The mirrors we designed were bronze hammered framed mirrors with bevel mirror glass. They looked very nice in her bathroom and matched the room perfectly. The framed mirrors had to be measured perfectly so the would fit below the lights vertically and between the lights in width. 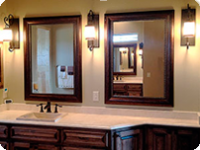 We at Texas Custom Mirror install glass and framed glass mirrors for customers in major Texas cities, however we installed these in Blanco, Texas. We have professional installers and can do a fantastic job of making the mirrors fit as designed. We delivered the mirrors also. 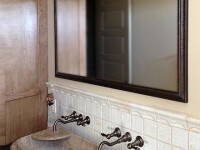 Texas Custom Mirrors is a complete mirror company.